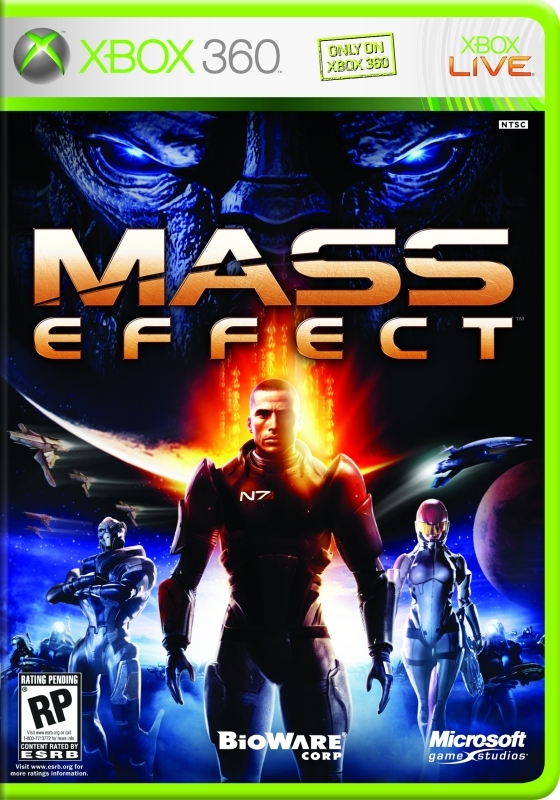 With the recent release of Mass Effect 2 I decided to delve back into the original Mass Effect again. This was one of the first games I played on my Xbox 360 and I was quickly won over by the game. Bioware does an amazing job of telling a great story with decent game mechanics. This is one of the few examples where a great story can outshine a few lack luster mechanics. Throw in great voice acting, beautiful graphics and replay value and you have a top notch game. The game play is a shooter with RPG elements to it. The RPG elements are the stronger of the two but it is a decent shooter. You have a central character and a squad of other characters that you build up as you level. With a 50-60 level character cap you end up with a pretty stout character by the end of it all. There are a lot of skills for you to put points into and each skill either improves your ability with a weapon or power or it unlocks another tier of skills. The variety of skills seems nice at first but I think it is too much. But it does make you feel like you are growing your character over the course of the game. I admit I am not the greatest shooter player. Thankfully Mass Effect gives me a squad of two additional characters to fight with. They aren’t the smartest squad in the galaxy. They tend to not be able to navigate around objects they get stuck on. They also don’t know how to jump. Of course like most Bioware games neither do you. But when they aren’t stuck they can be killing machines and they tend to take fire for you if you are like me and cant target your enemies very well. There are almost too many weapons in the game and many of them seem redundant. They have customization too. You can add multiple improvements to them and the armor you get. Generally you want the higher number of whatever you find. Then give your hand me downs to your squad, sell them or turn them into Omni-gel. By the end of the game you have more money and Omni-gel than you will know what to do with. Omni-gel is useful in that it helps you with two of the weaker parts of the game. The first is that you have this awful vehicle called the Mako that you use to drive around planets. It has guns and rockets and can jump unlike you. It can also get stuck on terrain and flip over. Thankfully much like a weeble it wobbles but it wont fall down. Your Mako will always end up on its tires. With this Mako you will navigate the huge areas of maybe a square mile that contains all of the goods of a planet. When the Mako is damaged, and yes it will be damaged, you can repair it with the miracle that is known as Omni-gel. The other use for Omni-gel is to circumvent the one mini game to rule them all in Mass Effect. If you wish you can open crates and computers and everything by doing the same type of puzzle over and over. This puzzle is a Simonesque game. Should you wish to skip this game you have Omni-gel to override it. Should you fail to succeed at the game you have Omni-gel to override it. Omni-gel is the duct tape of the future. Those two things aside though the game is a lot of fun and a great story to play through. You get to save the universe from evil which is always a plus. On the way you have the chance at love and even for that love to be with an alien species. Great back stories for each of your comrades and a universe full of intrigue and a life of its own to really explore open up a game that treats you like an actor in your own interactive story. With lots of choices and a moral system the game also gives the opportunity for multiple play-through. A single play-through will unlock the ability to take your next game to level 60 from the previous 50 cap. Achievements call to you to play with a particular choice of comrades to unlock them which makes multiple play-through ideal for unlocking all of them. If you are like me you will. I really like achievements.